Telltale's crossover card game, Poker Night At the Inventory, has an official release date: Monday. For a $5 ante you can splash the pot with Strong Bad, Team Fortress' Heavy, Penny Arcade's Tycho and Max. Considering we had all of 11 days left in Poker Night's promised delivery month, the short notice is to be expected. Just remember if you want that poker visor hat for your Team Fortress 2, you need to make that preorder before Monday. 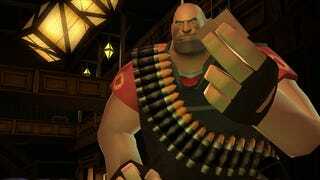 Four other TF2 unlockables come with the download, regardless of preorder. It $4.45 on Steam, $4.95 on Telltale's site, though you do get a 20 percent discount if you buy anything else through Telltale.